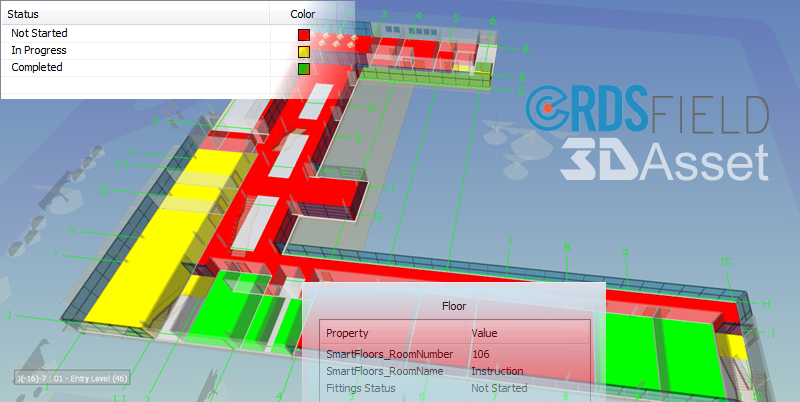 eRDS FIELD - NEW APPLICATION FOR CONSTRUCTION FIT-OUT. PUT YOUR ROOM DATA TO WORK ON-SITE. Defining room data in an organised manner and making it available to project stakeholders is just the first step in the room data process. For every room in the building the finishes, fittings, ME specifications, and ME components have to be purchased, installed and where necessary commissioned. Dealing with the thousands of asset on a medium sized project can be challenging for the fit-out teams and, this is where eRDS Field can bring efficiencies to the process and provide a decent management overview. During the room data definition process we are specifying the type and quantities of the various assets that are to be fitted into the rooms. But generally at this stage, the detailed asset information wont be known, and will be subject to all manner of considerations including client preference, cost & availability etc. To add real value to FM and asset management processes, we need to know the final as-fitted information manufacturer, part numbers, supplier information and where appropriate serial numbers and warranty conditions. Our eRDS Field App allows you to collect this information as it becomes available and then update the rooms database with the enhanced information. Our eRDS construction app puts your room data to work on-site. Its purpose is to help you manage and monitor many aspects of the fit-out process including quality control, installation, sign-off and handover. It also provides an efficient means by which to capture information from the final as-installed situation, and update the room database with the detail needed for facility and asset management. The App can be downloaded from here and runs on Windows tablets (Android scheduled for Q2 2018) either on-line or offline. Information captured from site by different operators is automatically synchronised to a central database, and all or parts of it can be uploaded to eRDS cloud. 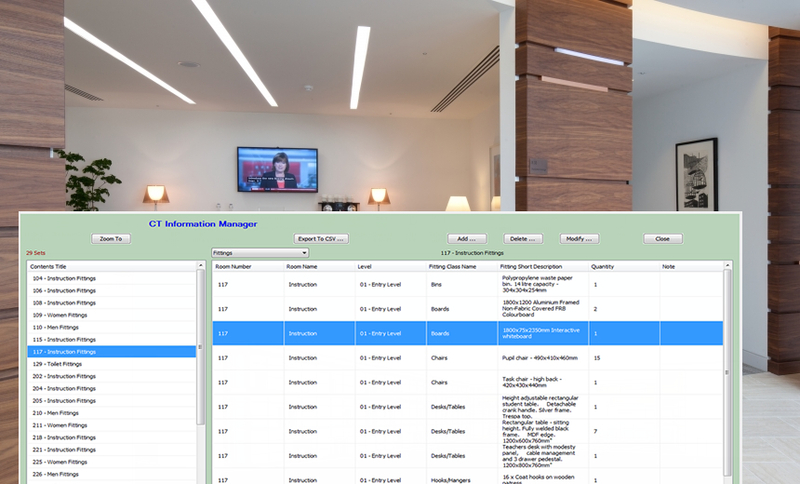 Our fit-out application provides a simple and easy to understand user interface (UI) for working with room data. Users navigate to the room of interest by scrolling through a list of room numbers. All the room data defined in eRDS Cloud is imported into the Field App where it can be used as reference information or for various management and progress monitoring tasks. The Contents Manager will display all information pertaining to the room as four sets of information; Finishes, Fittings, ME Specification and ME Components. By switching between the sets users have a full information package. A double click on any of the information displayed will open the input tag for that item or asset. Every construction company has its own work-flows and in-house processes when it comes to making check-lists. That’s why our field app is completely open to be customised by our users. This is quick and simple to do and is driven by your Excel spreadsheets. 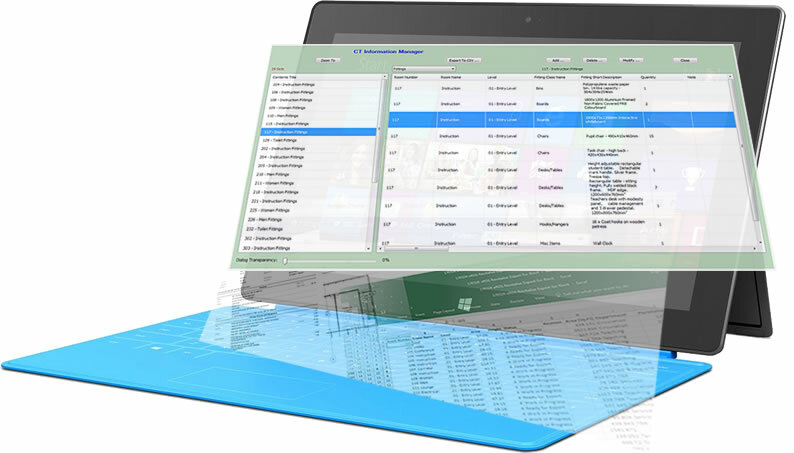 Our software will convert your Excel sheet into a ‘tag’ and its column headings into properties with values. 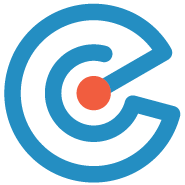 During the import process you can transform information into database properties for dates, validated lists, yes/no responses, and much more. Watch the video to find out more. To get you started our application comes predefined with many check-lists that you can either use or change. Our logic covers the following: Quantity; is the number count correct against what’s required, if not how many are missing? Specification; does the specification of the installed asset match what’s defined, if not what’s wrong? Quality; assuming the number count and quality are OK, are all the items to the expected quality, and if not how many fall short and why? Installation; we use a simple validated statements such as ‘Not Installed, Installed Not Commissioned, Commissioned’. Progress; what is the percentage progress for these assets, and how many man-hours are required before completion? And finally, can they be signed off, and if so by who and on what date. Important parts of an FM information source often become available during fit-out when the actual manufacturer, part numbers, and supplier etc. is known. Such information needs to be appended to the room database, so the operations team have all the information to hand and can work effectively. Our Field App allows you to capture the information and then have it uploaded and merged with the data in eRDS Cloud. You can choose to have items grouped or handle them individually where necessary. An example would be where we need to record serial numbers, warranty conditions and commissioning information, or to add a location based asset codes to individual assets. 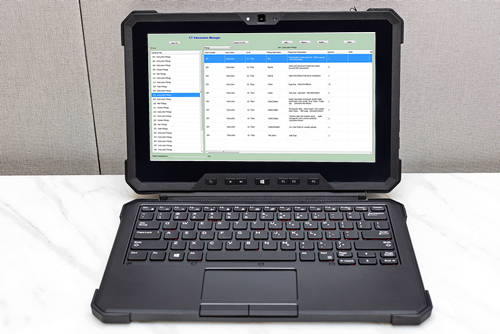 eRDS Field runs on any Windows tablet or laptop. The application is easy to install and does not use much space, so the hardware requirements are minimal. We envisage several site operatives using the application to check off various rooms at the same time. The app can be run either online or offline depending on the availability of Wi-Fi and network access. It includes synchronisation capabilities that ensure the database is kept up-to-date as soon as the network is detected, so everyone is working with up-to-date information. You can save room reports to PDF direct from our Field App or create CSV files of all or part of the information for progress monitoring and use them for taking various management decisions. When a room is finally signed-off and handed over, parts of the information such as manufacturer, part numbers, serial numbers etc. is uploaded to eRDS Cloud, whilst other parts such as progress monitoring is discarded. When the information is merged with the originating room data you can use our filtering capabilities to good effect and create the room data reports you need as PDF or Excel sheets. eRDS Field enhances the room data created through eRDS Cloud by capturing valuable as-fitted FFE information during fit-out. This is the information that’s needed by FM applications for serious asset management. Many FM applications use the COBie standard as the base import of data into their applications, and CObie files are generated automatically from the most BIM authoring systems such as Revit and ArchiCAD. For these situations you can use the eRDS Revit and Simplebim plugins to pass the enriched information from eRDS Cloud back into the BIM models, and write the data directly into the models. eRDS Field is a stand-alone development of 3D Asset (3DA), a model enrichment application using Navisworks.  All information from eRDS Cloud and eRDS Field is visible through the model using our Contents List. When interrogating room data the rooms in question will automatically be highlighted in the model. All kinds of model analysis can be produced by searching on the enriched data or the latest progress reports. These provide a contextual overview of the current situation and will assist management decision making.